ReqRes emerges out to be the market leader when it comes to providing the right talent at the right time and place. We are widely recognized for providing top-quality temporary and permanent staffing solutions to our clients across varied industries. 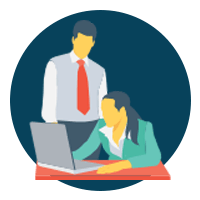 Our focus is on the IT industry with predominant emphasis on large enterprises and other sectors that require the candidates who are the most suited to their job.